Many couples and families spend lots of time, energy, and money preparing for a wedding. The average cost of a wedding in Louisiana is $20,000, and couples spend about a year of planning for the big day. We plan for the wedding, but what about preparing for marriage? Choosing a marital partner is one of life’s critical decisions. A skills-based pre-marriage education can reduce the risk of divorce by up to thirty percent and lead to a significantly happier marriage. At Family Solutions, we have selected a highly respectable, national approach, which is supported by extensive research with high levels of reliability and validity. The PREPARE/ENRICH program is designed for premarital preparation and marital enrichment (www.prepare-enrich.com). The program includes a customized couple assessment, which is completed online by each partner separately. This version automatically customizes itself to fit the unique stage (i.e., dating, engaged, or married) and structure (i.e., cohabitating, raising children, or creating a stepfamily) of each couple’s relationship based on their answers to background questions. Couples can select between a standard or faith-based administration of the inventory. 5. establish goals for your relationship. Premarital counseling can help you build a better, stronger marriage. A trained therapist can evaluate your strengths and growth areas, foundational to a successful, loving relationship. Whitney C. Walker, M.A., is our trained facilitator for PREPARE/ENRICH at Family Solutions Counseling Center. The PREPARE program is structured as 6 sessions, each 60 minutes long. In the first session, the facilitator meets with the couple to gather the couple’s narrative, discuss the PREPARE program, and establish goals for therapy. The couple then takes the online assessment. Sessions two through six are focused on the areas that will help the couple reach their therapeutic goals. Sessions can be set weekly, biweekly, or monthly, depending on the couple’s needs. Couples will be given a workbook, with an expectation to complete the homework assignments between sessions. Most couples report participation in premarital counseling as invaluable to their relationship. 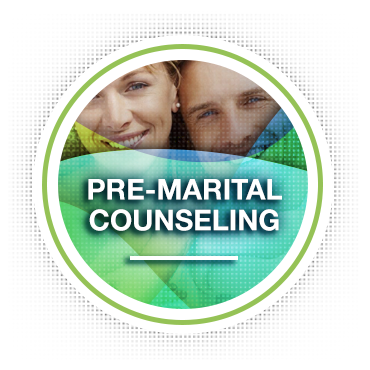 Premarital counseling using PREPARE at Family Solutions Counseling Center is very affordable at $75 a session. Call or email Family Solutions Counseling Center for more information about the PREPARE/ENRICH program and the value in premarital counseling.